MAKE UP FOR EVER launched the Rouge Artist Natural in spring 2012. It is inspired by a return to naturalness, a key trend for spring 2012 focusing on fresh, vibrant tones in wardrobes and vanity cases. These lipsticks come in 50 shades and three finishes: diamond, satin and iridescent. The color range is extensive, so I am sure there is a shade for everyone. Check out all the shades on their website.. I picked the N36 Iridescent Coral, which is a warm light coral with tiny glitter and shimmer particles. 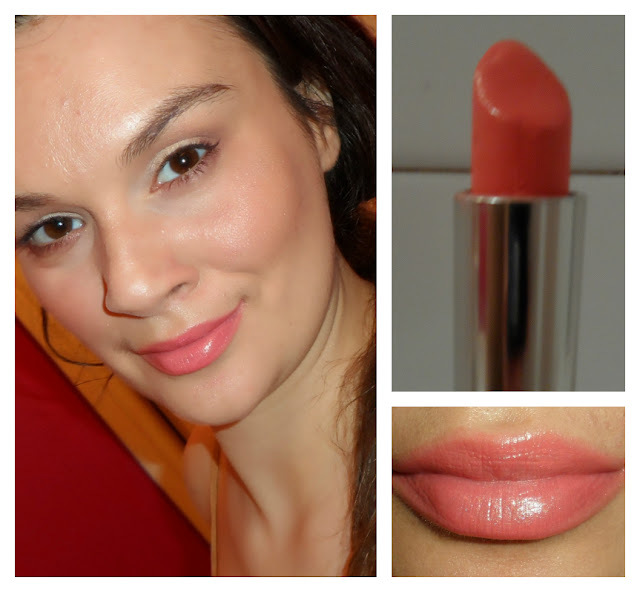 It did not take much time for me to fall in love with this ultra creamy and moisturizing lippy that provides light coverage with a soft, shiny finish, which is exactly what I'm looking for in a lipstick in the summer! And the best thing about the Rouge Artist Natural lipsticks is that you don't even need a mirror to apply them, because they go on sheer just like a gloss, but without that heavy and sticky feel that some have. So the bottom line is, if you’re looking for a nice moisturizing lipstick on the more sheer side, these could be the one for you.They cost €19 here in Ireland. Have you tried the MAKE UP FOR EVER Rouge Artist Natural‏ yet? What other shade should I get next? Thanks for following me, I followed you back! I haven't tried any Make Up For Ever products yet, but it looks pretty! I still never tried it Marina! But love urs, the color is so natural, I'm always looking for those shades! :) Kisses dear! Very pretty, but I've never tried! I am not sure they are available in Canada... I am going to check though cause those coral shades are lovely!